It is amazing how short a memory we all have for movies and how we forget challenging movies of the past. One of them was Martin Scorsese's 1976 Taxi Driver. I saw it because I have always been a fan of Cybill Shepperd. But the film brought shocks I wasn't prepared for. Taxi Driver (and many forget) might have influenced John Hinckley in his assasination attempt on President Ronald Reagan. I did not know I was striking a cord when I faced Scorsese with my camera and asked him about Hinckley. His immediate retort was a shocking (for me), "He wrote to me before he did to her (Jody Foster)." What would have led Martin Scorsese to grow a beard when he came to Vancouver in 1998 to promote his 1998 The Last Temptation of Christ? 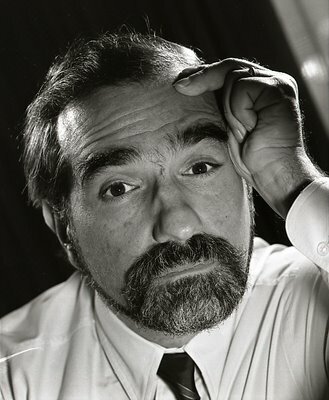 So here it is, a picture of Scorsese wearing a beard.